Arizona takes a tough stance on drug crimes. Offenses can range from possessing a medication without a prescription to the trafficking of narcotics. While there is a perception that our country’s drug policy is becoming more relaxed, the truth is that such conduct is still considered criminal and will result in charges. Bretton Barber is a Phoenix criminal defense attorney assisting those charged with a variety of drug related offenses. Call our office today to speak with a lawyer. Arizona classifies and charges drug crimes in a variety of ways. How one is charged is going to depend on both the type of drug they are possessing as well as the amount. Our state classifies controlled substances fall into three categories- dangerous drugs, narcotics, and marijuana. Penalties for dangerous drugs will be the most severe, while marijuana crimes are considered least severe. 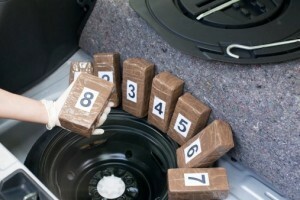 Many drug crimes also involve other counts, such as charges related to a firearm. Following a drug crime arrest it is important to contact a criminal defense attorney immediately. Bretton will launch an investigation into the details of your arrest, including whether your Fourth Amendment Rights were violated by police during an unlawful search and seizure. Bretton will also determine if proper procedures were followed when testing and weighing the substance in question. Even if you believe your drug crime is open and shut, there are often many viable defenses. Contact our office today to speak with a lawyer. In addition to Phoenix we represent defendants in other Maricopa County cities such as Mesa, Glendale, Scottsdale, Chandler, and Gilbert. We also assist Pima County residents in Tucson. Bretton places a high priority in ensuring that he personally handles his cases. When you retain our firm you will not be dealing with an associate or a contract attorney. He believes that it is important to communicate effectively with clients and answers client questions. Our number one goal is to get a client’s case dismissed. If dismissal is not possible then we will work for the best possible outcome.